Most.Rev.Dr.D.Clement Pagnani O.S.B. — 1 st Bishop of Kandy. Born in Fabriano, Italy on 24 th June, 1834. Ordained Priest by Cardinal Brunelli in December, 1857. Arrived in Ceylon in June 1851. On 12-9-1879 received appointment to the Vicariate of Colombo with the title of Bishop of Hephestium. In 1883 was transferred to kandy to take change of the new Vicariate. The Vicariate of Kandy was erected into a Bishopric at kandy in January 1887. Died at Kandy on 27 th June. 1911. Most.Rev. D. Bede Beckmeyer O.S.B. — 1 st Sri Lankan Bishop of Kandy. Bishop of Kandy from 30 th June, 1912 to 22 nd May, 1935. Elected Bishop on 19 th April, 1912. Consecrated Bishop at Kandy on 30 th June, 1912. Died at Kandy on 22 nd May, 1935. Most.Rev. Dr. Bernard Regno, O.S.B. — 3 rd Bishop of Kandy. Born on 18 th August, 1886. Ordained Priest on 18 th December, 1909 by Bishop Pagnani, O.S.B. 1 st 10 Years at Dimbulla. 7 months in Gampola. 2 years and 6 months in Badulla. Prior from 1921-1925 . Went to Italy in 1925. On his return appointed Parish Priest Hatton. Elected Bishop on 27 th January, 1936. Took possession of the Diocese on 17 th March, 1936. Retired owing to ill health in October, 1958, as Titular Bishop of Bagai. Most.Rev. Dr. D. Leo Nanayakkara, O.S.B. — 4 th Bishop of Kandy. Born on 27 th November, 1917. Professed on 23 rd December, 1942. Ordained Priest on 10 th February 1950. Elected Bishop on 27 th Jul, 1959. Consecrated Bishop at Katugastota on 3 rd October, 1959. 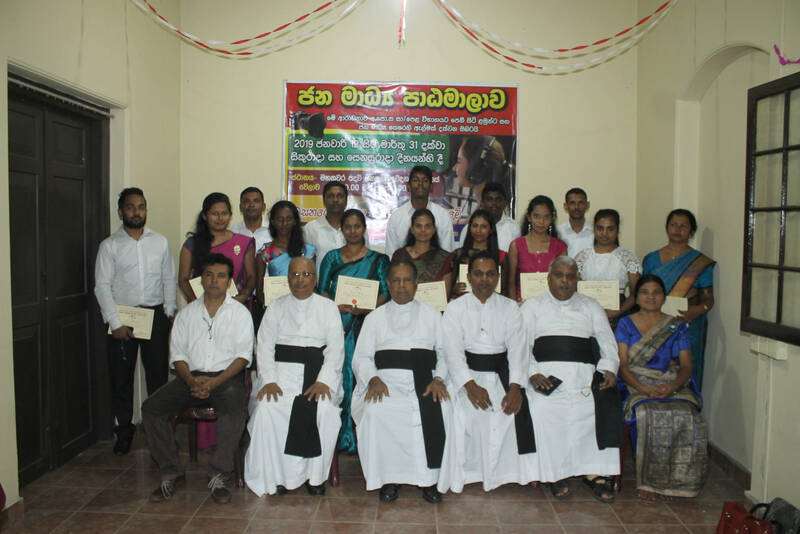 Appointed Bishop of the new Diocese of Badulla on 27 th. December, 1972. Took over the new Diocese on 24-2-1973. Died on 28-5-1982 at Kandy and buried in Badulla. Most.Rev. 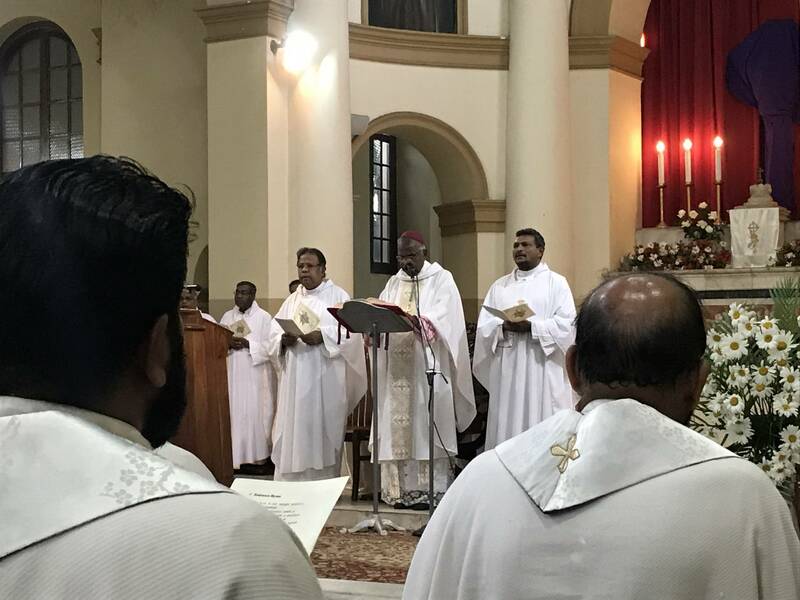 Dr. A. Paul Perera — 5 th Bishop of Kandy. Born: 26 th November, 1913. Ordained Priest: 24 th July, 1939. Assistant Parish Priest, Gampola – 1939 – 1941. Assistant Parish Priest, Bandarawella – 1942 -1945. Parish Priest, Badulla – 1946 – 1950. Parish Priest, Matale – 1950 – 1961. Parish Priest, Talawakelle – 1961 – 1970. Parish Priest, Badulla and Eqiscopal Vicar of Uva District – 1970 – 1973. Elected Bishop – 13 th May, 1973. Ordained Bishop – 29 th June, 1973, Rome by His Holiness Pope Paul VI. Accession to the Sea – 13 th July, 1973. Retired – 31 st March, 1983. Administrator untill 29 th June, 1983.